Hey, i was thinking about the balancing in CoW and there might be some features causing problems on it especially when it comes to maintenance and costs of maintenance. The rocket is quite cheap in research and production and exceptionally powerful. Once upgraded to lv. 2 it mostly becomes one of the ruler in game. Beeing as unstoppable as crucially devastating. Compared to the production of the light tank there might be the fuel missing from the rocket. Does it fly with on his own ... tanks costs fuel after all 600, but the rocket don't have fuel costs in production and NO maintenance costs. It is clear that a rocket is pretty simple, get some explosive charge, put it in a flying shell and start engine. Unfortunately their is no movement without fuel in the engine thats why i think they should cost FUEL and not just such as the 25 crumbs of manpower needed for the tanks. Well, the Germans in WW2 would have love it to get some rockets presented in this game. They could have won the war with all their i think 5000 standing around .. yes they didn't won cause fuel was missing. Thanks for the feedback, I will bring into our team discussion. the game is not loaded... it's a long time? Estou com um problema. Pode me ajudar? Hallo Rastermann wollte mal fragen was eignentlich mit dem neuen ubdate ist wann es so ungefähr rauskommt und so freu mich schon seit das erste mit der weltkarte war ansonsten schöne grüße. Das Update kommt wenn es kommt. Derzeit sind wir noch am Testen und beheben einige Fehler, diese Woche wird wahrscheinlich erstmal nur ein kleines Update kommen. Hallo Rastermann, hätte eine Rückfrage zu den Siegbedingungen: In unserem Spiel sind 654 Punkte als Bedingung angegeben. Ist dies aktuell? Wird die Hälfte reichen? Kann man auch mit 5 aktiven Spielern beenden (ohne die Bündnisse zu brechen...)? wenn es 654 Punkte sind dann wird dem wohl so sein. Erst wenn nur noch 3 aktive Spieler in einer Runde sind kann ohne Krieg diese beendet werden. 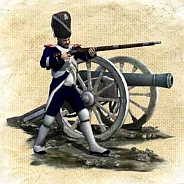 Nice image of profile that symbolizes the historical Napoleonic Army. Hallo, mein Name ist Jack, es ist eine Freude, Sie zu treffen, ich mag Geschichte und Philosophie, besonders die Philosophie des Aristoteles und Plato. Moin, ich würde mich gerne bei den Frontpionieren anmelden. Hatte den Supprot auch eine Mail geschickt, vor Tagen, jedoch noch keinen Antwort erhalten. Könntest du mir da weiter helfen?